As the the old adage says, real estate is all about location, location, location. And that’s exactly what AYC Condos will offer when the project launches this fall. 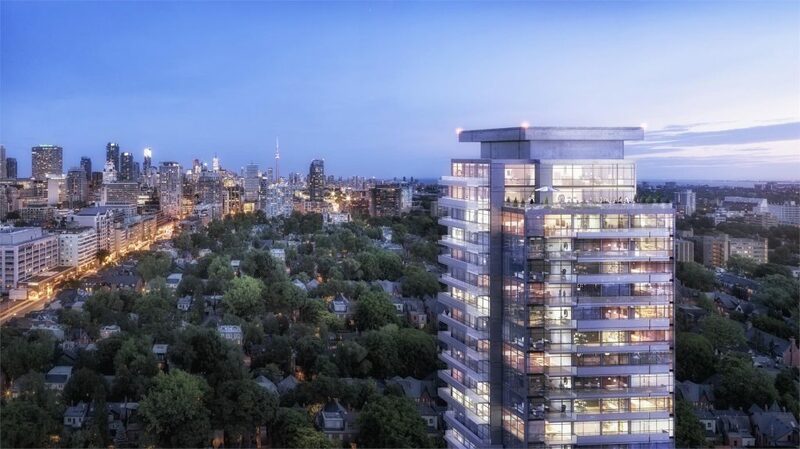 The development is a new collaboration between Toronto developers Metropia and Diamond Corp. and will be located at the intersection of two of the city’s most dynamic neighbourhoods — the Annex and Yorkville. Situated at 181 Bedford Road, residents of AYC Condos get the best of both worlds with some of some of the city’s top attractions just steps away. Walk eastward and you’ll quickly find the variety of galleries, theatres and coffee shops that the Annex is known for, or head west towards the designer shops and upscale restaurants of Yorkville. Also nearby is the Royal Ontario Museum with its iconic Michael Lee-Chin Crystal designed by Daniel Libeskind, as well as Toronto’s own historical castle, Casa Loma. No matter which direction you go, AYC Condos offers the quintessential urban lifestyle, right outside its doors! Clad in a contemporary mix of glass, steel and concrete, AYC boasts a sleek and modern exterior architecture envisioned by award winning architecture firm, TACT Architecture. The tower will rise 27 storeys and feature expansive windows offering sweeping views of the city and striking balconies that create distinctive outdoor spaces. Inside, the development will house a total of 245 units designed to meet the demands of modern urban life. The renowned interior design team at Bryon Patton & Associates have created an impressive collection of open concept floorplans that make the most of every square foot. Gourmet kitchens, lavish master suites and thoughtfully-designed storage spaces have all been carefully crafted to maximize both style and comfort. At ground level, an exclusive collection of townhomes will be available for purchase and come complete with modern exteriors, rooftop terraces, large windows and premium finishes. To learn more about AYC and to gain access to the upcoming preview opening event, be sure to register online today! For more information visit, ayccondos.com.